You also get a 90 day free trial, which is quite generous! After the trial, the reduced fee is $99 per year with the QuoteMedia data feed or $69 without. Or, if you’d prefer not to renew annually, you can continue to use the software indefinitely, without access to program updates, tech support or the QuoteMedia data feed. 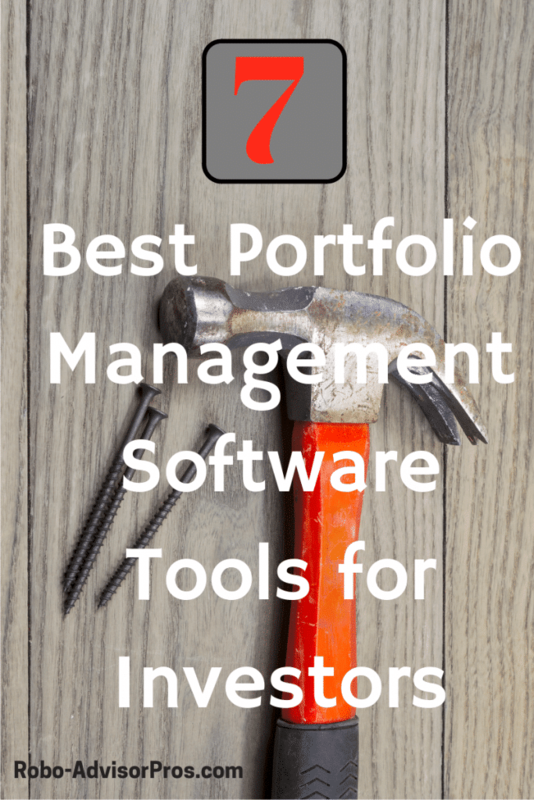 Are there no stand alone portfolio analysis tools that don’t come with “advice”? Yes! Personal Capital is my favorite because it will analyze and track your investment portfolio for free. 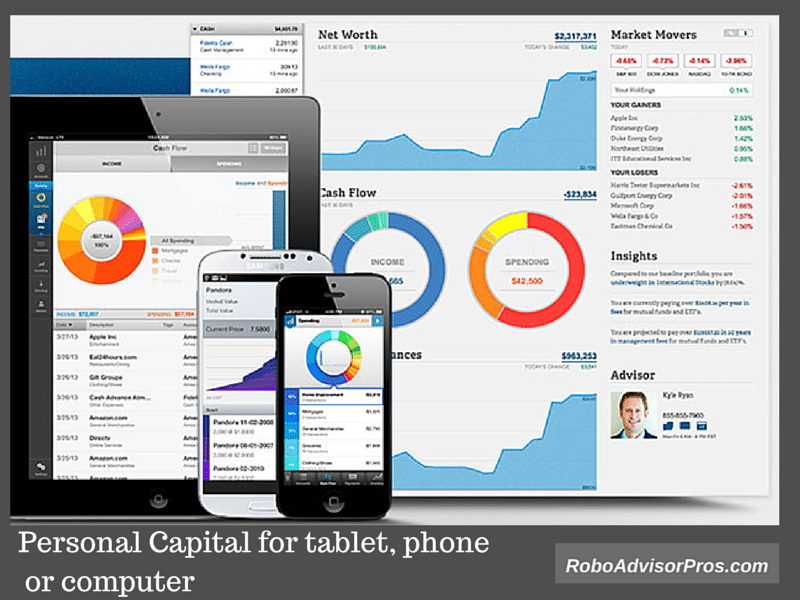 The cost is that you’ll have to field a call from a Personal Capital rep. For a detailed look at the free personal capital tools check this article out: https://www.roboadvisorpros.com/personal-capital-review-why-you-must-sign-up-for-personal-capital/. Several other robo-advisors will also analyze your portfolio for free; SigFig (https://www.roboadvisorpros.com/sigfig-review-robo-advisor-low-fees/) and FutureAdvisor (https://www.roboadvisorpros.com/expert-futureadvisor-review-robo-advisor/). Let me know your opinion of the “stand alone” tools. If you create an account on Personal Capital, expect constant phone calls to your house phone, your smart phone, emails…in other words, prepare to be bombarded. If being hassled continually is your idea of free then by all means, sign up. Ryan, I use the free Personal Capital software and receive infrequent calls. In fact no more than a few times per year. And when I explain that I manage my own investments, they are quite courteous. I really appreciate the free software and think an occasional phone call from the company is a tiny price to pay for this free software. It’s actually more accurate than my Quicken software, which needs to be updated manually. I just started a Personal Capital account to check them out. Lots of folks in the personal finance blogging space use them. It’s impressive software. One of the things I was curious about was to see how/if they pursued me. I never hear bloggers talk about that part. So far, I’ve just received emails, no calls. I agree with you, Barbara. Having this kind of software for free is worth a few contacts. I’ve been a Mint user for quite awhile. I wanted to see how Personal Capital stacked up on that side. I’m a financial advisor, so won’t use them for that piece. I do, however, want to recommend services like this for people who want to do it themselves. There’s room for everyone. Yes, I receive regular calls from a Personal Capital financial advisor. Since I manage our own investments, I do not use their paid service. I don’t find the calls annoying, they’re a small price to pay for this amazing software! What was the name of an online financial management tool that was discontinued 2 or more years ago? So sorry, but I don’t know of a tool that was discontinued two years ago. I really like Personal Capital,and also use Quicken.